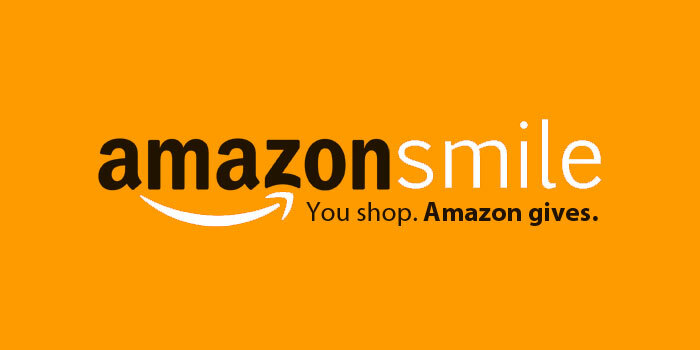 The Paul J. Sauerland Braille Literacy Award – American Council of the Blind of New York, Inc.
American Council of the Blind of New York, Inc.
Click here to help us make a difference by selecting ACBNY when shopping with Amazon Smile! The Paul J. Sauerland Braille Literacy Award is a memorial honor bestowed annually upon a member of ACBNY or a person of national prominence who is a Braille student or a student training to become a professional braille instructor or a professional residing or working in New York State whose career or volunteer endeavors has significantly promoted the cause of braille literacy amongst the public or within the educational or blindness rehabilitation systems. The recipient of this prestigious award has learned Braille or improved the lives of persons who are blind or visually impaired within New York State or nationally through effort or example by encouraging non-braille-readers to learn and use braille, or through administration of or direct instruction in the skills of reading and/or writing braille, or through transcription of braille reading material or through the development of the braille code itself or of technology used to read, write, transcribe, produce or distribute Braille, or is actively enrolled in an educational program which will lead to becoming a professional who will provide Braille instruction. Nominations of candidates for the Paul J. Sauerland Braille Literacy Award may be made by ACBNY members in good standing, members of the committee administering the award, administrators or professionals in the field of education or rehabilitation, parents or guardians of students who are learning braille, or recent students of braille instruction professionals. Nominations will not be accepted from parents or students for their current braille teachers, nor from braille teachers for their current students. Parents and students are encouraged to nominate their former braille teachers and vice versa. This award is a once-in-a-lifetime honor. It may be awarded post-humously. Nominees may be submitted for consideration more than once, but only one time per annual award cycle per nominator. Nominators may make more than one nomination. Multiple nominations for the same nominee are acceptable from multiple nominators during a single award cycle, but will not improve the nominee’s likelihood to receive the award. Nominees for the Paul J. Sauerland Braille Literacy Award will be considered by the members of the ACBNY committee charged with its administration, who will select no more than one student nominee and/or no more than one professional nominee annually to receive the award. All decisions of the committee are final. The award will be presented to its honoree(s) at the ACBNY Annual Convention during the convention Banquet. Nominees who are not selected to receive the award may receive Certificates of Honorable Mention. The Paul J. Sauerland Braille Literacy Award consists of a plaque or certificate accompanied by a braille slate and stylus and a modest honorarium to be determined by the committee charged with its administration. Nominations for the Paul J. Sauerland Braille Literacy Award shall be submitted electronically or in writing and include the name, address and phone number and email address of the nominator, along with a description of his or her standing to make the nomination, i.e. ACBNY member or braille instructor or education /rehabilitation professional/administrator and his or her relationship to the nominee, i.e. former student, administrator, parent or guardian. Each nomination shall also include the name, address, telephone number and email address of the nominee, along with his or her title and the name of the organization under whose auspices he or she has advanced the cause of braille literacy as a professional or volunteer, or the age of the student nominee and the name of the school or agency or college which he or she attends or has recently graduated. Each nomination shall furthermore contain a description of not less than the length of one nor more than five standard typewritten pages detailing the nominee’s achievements in learning to read and write Braille or learning how to teach others to read and write Braille or his or her career or volunteer efforts and contribution to furthering the cause of braille literacy. This is the most important element of the nomination. Braille or electronic submissions via email are welcome and should be sent to the awards committee chair or the ACBNY Secretary. Nominations must be received by the awards committee chair no later than July 1 prior to the start of the convention at which the award will be presented. All nominating materials become the property of ACBNY and will not be returned. Nominations received by the committee will be acknowledged to the nominator. The Paul J. Sauerland Braille Literacy Award is funded by the proceeds of the Paul J. Sauerland Braille Literacy Award Endowment held by the American Council of the Blind of New York, Inc. It was established by ACBNY at its 2008 annual convention to honor the memory of our long-time member, Paul J. Sauerland, who was a lifelong champion of myriad causes promoting the health, welfare, education, vocational training, employment and rights of people who are blind or visually impaired throughout New York State and the United States. Paul was an avid and highly skilled braille reader who used braille in all aspects of his daily personal and professional life. This award is intended to promote braille literacy through public awareness of braille and the chain of professionals and volunteers involved in its instruction, production, and distribution and most importantly, use. It is furthermore intended to encourage the mastery of braille by students and a high quality of braille instruction through recognition of braille students and their instructors.